Statue of Saint Michael the archangel with sword and shield, of 80 cm. 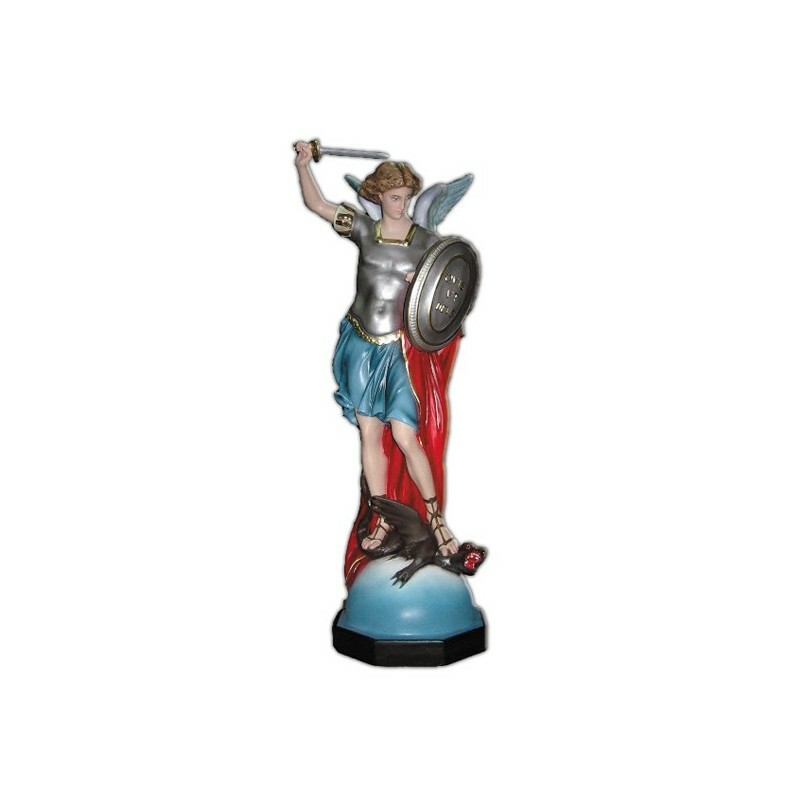 Statue of Saint Michael the archangel with sword and shield, 680 cm of fiberglass, handmade in Italy. 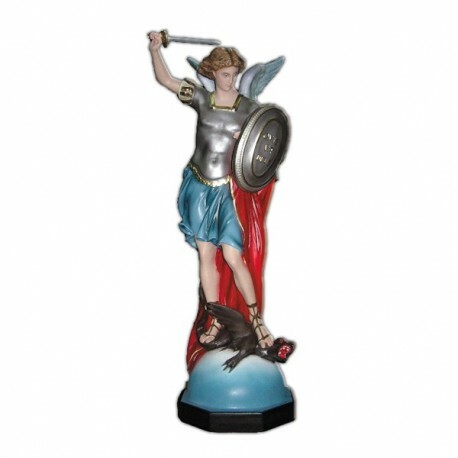 St. Michael Archangel is commemorated on the 29th of September. He is one of the three angels (Michael, Gabriel and Raphael) who are venerated By the Church on the 29th of September, during the liturgies. He is also one of the seven angels who stay in front of the God’s throne. The Bible calls him “one of the first princes” and it considered him the leader of the celestial militias, in the fight against the forces of the hell. He has been always venerated by the western and eastern Catholics. He is illustrated as an archangel with the armor and a spear, while he is piercing a dragon or a devil. He is considered the patron of the State Police, of the radiologists, of the grocers and of the Folgore Parachute Brigade.